When you’re buying supplements, it’s easy to be confused by food labels. Am I getting the right bang for my buck? What am I putting in my body? How do I use this product? 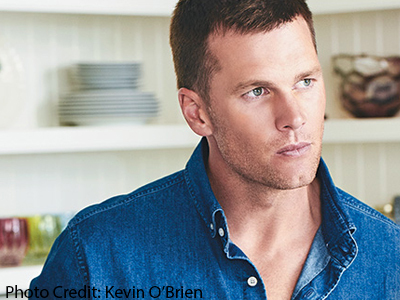 Tom Brady, author of THE TB12 METHOD, puts your mind at ease by sharing his tips for reading a supplement label. Everyone who’s been in a supermarket knows that supplement is a pretty broad category that includes vitamins, minerals, herbs, “green drinks,” essential fatty acids, and other nutrients that are either derived or synthesized from food sources. According to the Dietary Supplement Health and Education Act of 1994, supplements aren’t considered drugs, which means they can go to market without the US Food and Drug Administration reviewing them beforehand. To choose the right supplements, it’s important to choose a brand whose ingredients are made of food-grade concentrates—meaning that its ingredients come from natural foods and herbs—since the body also metabolizes them more easily than it does synthetic components. Try to avoid supplements that contain fillers, dyes, binders, or any other unnecessary ingredients. The reason those are used is because they’re cheaper, and there are bigger profits and more marketing dollars, which create more influence. It can be a vicious cycle. The product label on a supplement consists of a statement of identity, a structure/function claim, the form the product takes (gel, liquid, capsule), directions on how to take it, a supplement fact panel, a list of other ingredients, and the name and address of the manufacturer. We’ll take them one by one. The statement of identity tells you the name of the supplement, or what it is—e.g., vitamin D, B complex, or melatonin—and identifies it as a vitamin, a mineral, a dietary supplement, etc. The structure/function claim tells what the supplement does or what its health benefits are. By law, the structure/function claim can’t say that a supplement treats or cures a disease, but it can set out what role or function the supplement will play in your body. This identifies whether the supplement is a capsule, a gel, a liquid, or a powder, and how much or how many the bottle contains. This tells you how you’re supposed to take the product—once a day, twice daily, once a week, and so on. Here you’ll find the serving size—a capsule, two tablets—along with a list of active ingredients and the total percentage of the recommended daily intake the supplement provides for each ingredient. If there’s an asterisk in the daily value column for any ingredient, it means the manufacturer hasn’t determined a daily value. This list tells you what inactive ingredients were used to create and manufacture the supplement. On this list you’ll find ingredients like binders, fillers, coatings, water, and gelatin. Again, try to avoid supplements with too many inactive ingredients in them. What it says—the name and address of the manufacturer. Add superfoods to your diet! You can’t go wrong with these nutritional superstars. #1 New York Times Bestseller The first book by New England Patriots quarterback Tom Brady—the five-time Super Bowl champion who is still reaching unimaginable heights of excellence at forty years old—a gorgeously illustrated and deeply practical “athlete’s bible” that reveals Brady’s revolutionary approach to sustained peak performance for athletes of all kinds and all ages.In modern sports, some athletes have managed to transcend their competition in a way that no one will ever forget: Jordan. Jeter. Ali. Williams. These elite legends have changed the game, achieved the unthinkable, and pushed their bodies to unbelievable limits. Joining their exclusive ranks is Tom Brady. “Brady is the healthiest great champion the NFL has ever had, both physically and mentally” (Sally Jenkins, The Washington Post). The longtime New England Patriots quarterback, who in 2017 achieved his fifth Super Bowl win and fourth Super Bowl MVP award, is widely regarded as an athlete whose training and determination pushed him from a mediocre draft position to the most-revered and respected professional football player of his generation. 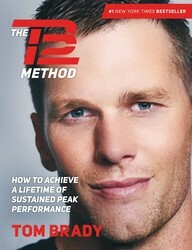 In The TB12 Method, Tom Brady explains how he developed his groundbreaking approach to long-term fitness, presenting a comprehensive, step-by-step guide to his personal practice.